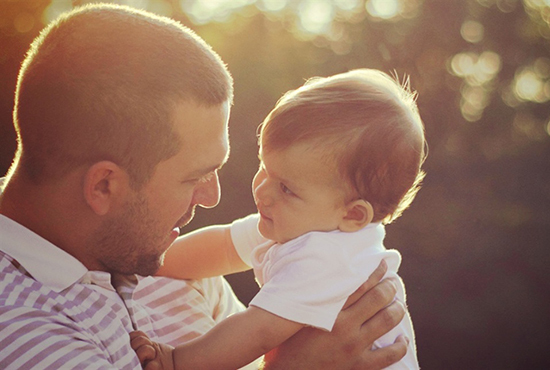 Research indicates that after a closer relationship with his father, baby will have a much better healthy personality, more gentlemanlike in behavior. As an important person in baby's life, you play an important role in baby's early education. 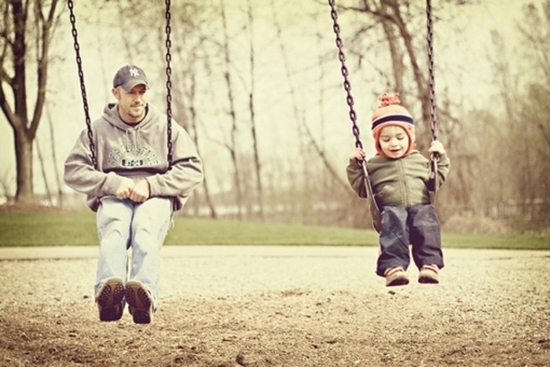 But as a father, do you understand that they are clear how to express your love for the child? Secure attachment relationship is the basis for the development of the baby’s future relationships. Only after the baby experienced all the positive emotions of love, his will feel safety and be able to socialize with others equally. So, do not be stingy for your love, just be much closer to the baby and let him in close contact with his father in the full experience of love. Before your baby can talk, he can only use his own way to communicate with you. Perhaps a sound, a movement, a facial expression, gaze or escape, but these hints are what the baby gives you. Don’t be stingy with your response, you will find that your smile can make the impatient baby gradually quiet down, he will cry less and be quieter in evening. But beware: do not meet all his demands, you can only maintain a positive response of baby’s hints to let him know you understand his request. What you talked with your baby will lay a solid foundation for his future learning. When the baby hear more and more words, the function of language processing in the brain will be developed. 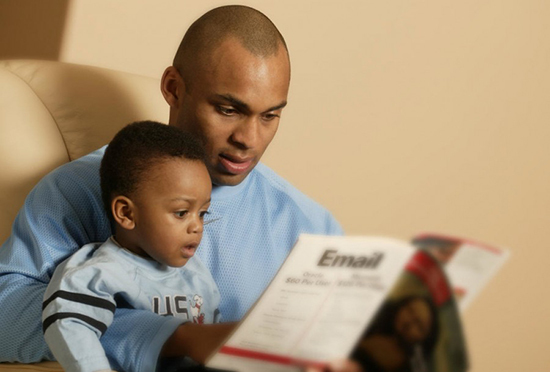 Try to talk, read or sing for your baby, maybe just to read the simple picture books for him at the beginning, rather than trying to teach him. When the baby grew up, you can read the story to encourage his involvement - repeating tone and words, then he can do that like you gradually. For the baby, establishing order is essential. Baby is learning by repeating behavior, which is an important prerequisite for him to get a sense of security. Remember that the time of changing diapers and bath is very important in daily time. At the same time, try to repeat the activities, which can make your baby be happy, such as telling stories or singing songs for your baby before going to bed. For the baby, you are his whole world. To a large degree, your movement determines his understanding of the world, and the interaction between you also largely determines the way of his learning. Therefore, when the baby is trying to explore or play games, you need keep receptive attitude, especially when he needs your encouragement after he frustrated. Only like this way, the baby will not be fear of difficulties and the future. Studies show that babies have a good learning, which has the relationship of limited time and content spent on TV. Don't let the TV become your baby's partner, even watching TV, you have to together with your baby. And you can use your way to explain the content of the TV, even discuss with him. So that watching TV can also become a learning experience. Don't expect your baby will always do as you say, he is often impulsive, and a lot of time in noisy, because he doesn't have the ability to control his emotions when he is frustrated and angry. It needs some time for baby learning self-control, we need be patient. And never hit or shake babies hard, this will not only result in permanent adverse effect for baby, and make him feel fear, shame or anger, but also can only teach the baby in the same way of violence to revolt. When it came to baby makes you unhappy, give yourself a little time and count to 10 to calm down, or find a friend to talk to ease the mood. If you feel your had fierce movement or stringent requirements, try to say "Sorry" to the baby, this will not only compensate for the loss, but also let the baby feel more love and support. Each baby has its own temperament and growth rate, each baby is unique. Give your baby a unique encouragement, you will find the baby can really do well. In general, the parents who are sensitive to the baby's reaction will help baby build a positive self-esteem. Studies show that high-quality infant care and early education can promote the baby learning and social skills, which is absolutely up to you. If your baby taken care by nurse or relatives, you need to personally observe how caregivers interact with the baby, whether the provided space for the development of the baby is clean and safe. Taking care of baby is the most challenging task, especially when you feel tired, irritable, depressed, or frustrated, it will be much difficult to meet the baby's requirements. Therefore, take good care of yourself can be more favorable for babies.